At Winter Park Veterinary Hospital, it’s a TEAM effort! At Winter Park Veterinary Hospital, we know that your dog is an important member of your family. Our priority is to help your dog live a longer, healthier, and happier life! We encourage routine physicals, wellness examinations, and comprehensive preventative health care to keep your dog in the best condition possible! 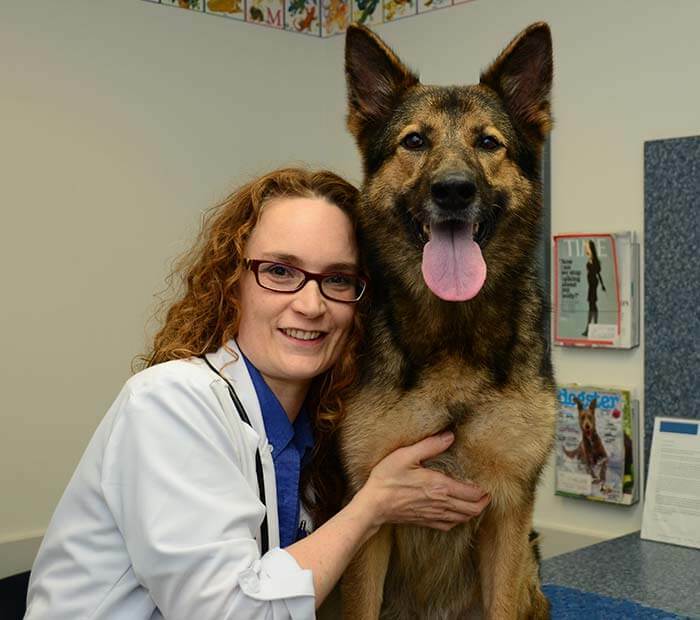 Our dedicated veterinarians and team members at Winter Park Veterinary Hospital take a personal interest in your dog and strive to exceed your expectations as a client. Providing stress-free convenience to our clients is also very important at Winter Park Veterinary Hospital! Our clients enjoy the benefits of a professional in-house pharmacy, an abundance of informative online resources, and the ability to make appointments, refill prescriptions, and access important forms online. Our services at Winter Park Veterinary Hospital are tailored to meet all of your dog’s veterinary care needs, from the most routine to the most complex! For everything from preventative wellness exams, heartworm and parasite prevention. to diagnostic testing, dental care and surgeries, we offer all of the medical services that your dog may need to stay happy and healthy throughout his or her lifetime. Regardless of your dog’s age or existing medical conditions, we can provide advanced veterinary care to give you peace of mind that your dog will enjoy a long and healthy life! We are strong believers in preventative veterinary care, and encourage a proactive approach to personalized pet health. We work closely with each of our clients to ensure that they receive the accurate, up-to-date information needed to make the best veterinary health care decisions for their dogs. Vaccinations based on your dog’s lifestyle and exposure to risk. Nutrition and Diet - for more information about Winter Park Veterinary Hospital’s nutrition and diet counseling, please click on nutrition and diet, listed under general medicine. Dental exam and professional cleaning and care - for extensive details about Winter Park Veterinary Hospitals’ dentistry services, please click on dental care, listed under services.